Chinese handset manufacturer Gionee has started sending media invites for the launch of its M7 Power smartphone in India. The company will unveil the Gionee M7 Power on November 15. The company started teasing the India launch of the handset last week. Gionee's M7 Power was launched initially in China alongside premium Gionee M7. Two of the biggest highlights of the Gionee M7 Power are its large 5000mAh battery and a display with 18:9 aspect ratio. The Gionee M7 Power was launched in China at CNY 1,999 (roughly Rs. 20,000), and can be expected to be priced similarly in the Indian market. 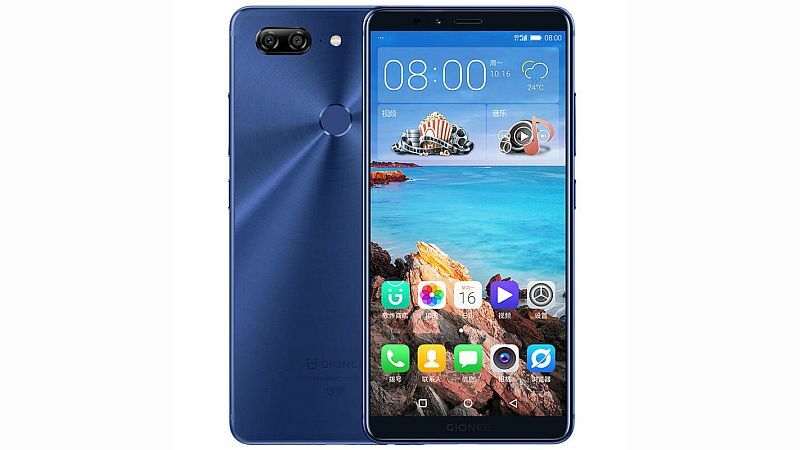 The company is expected to bring Gionee M7 Power in Blue, Black, and Gold colours. The upcoming Gionee M7 Power is widely expected to compete against some recently unveiled smartphones like Oppo F5 and Vivo V7+. Look at the specifications, the Gionee M7 Power features a 6-inch 18:9 FullView display and comes with a 720x1440 pixels screen resolution. It is powered by a 1.4GHz octa-core Snapdragon 435 SoC coupled with 4GB RAM and 64GB inbuilt storage. The smartphone supports expandable storage via microSD card (up to 256GB). It runs Amigo OS 5.0 based on Android 7.1.1 Nougat and supports hybrid dual-SIM cards. The smartphone sports a 13-megapixel rear camera with LED flash, f/2.0 aperture, and PDAF. There's also an 8-megapixel front camera. The M7 Power is its 5000mAh battery which also supports fast charging. The handset sports a fingerprint sensor at the back.